Damara is a nursing student from Canada with a focus on community services. 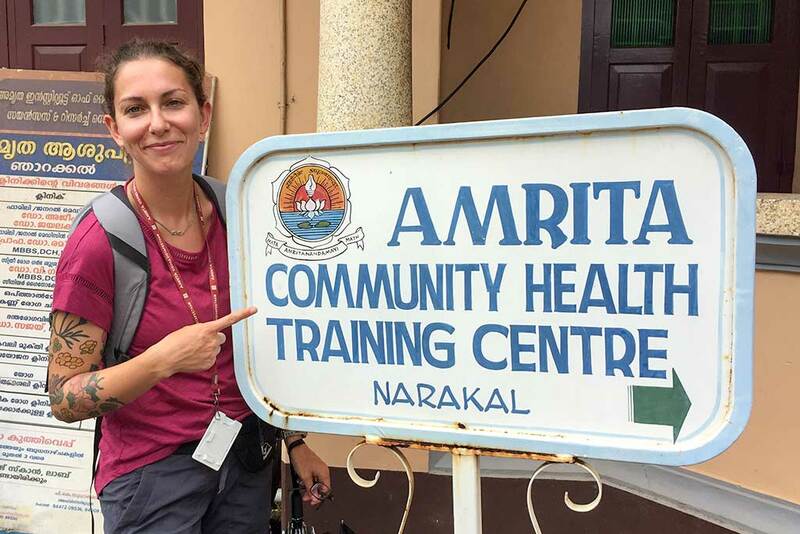 Nine Canadians from a university there have come to work with Amrita SeRVe in Bihar. The group is from Ryerson University in Toronto, a college that champions diversity, entrepreneurship and innovation. The partnership is with Live-in-Labs at Amrita University. The students are with three different departments of Ryerson’s Faculty of Community Services—Nursing, Early Childhood Studies and Nutrition. Right now, they are at Amrita Hospital (AIMS) in Kochi, Kerala to undergo field trips and develop educational materials. After that, they will head to Ratanpur, Bihar to work with the Musahar community. “Coming here was a chance to really see what working with people means in the context of a different country,” says Damara. She is a nursing student whose goal is to work in community development. Damara wants to find ways to understand the larger experience of what it means to be human. For her, that bridges a way to find solutions to the suffering that exists around the world. Dr. Usha George is the Dean of the Faculty of Community Services at Ryerson and visited Amritapuri in 2016 to find out the basis of the work. Amrita University’s emphasis on social impact, particularly through the use of technology, was of great interest to her and her team. The two universities partnered to foster collaboration and empowerment of their local communities. This year’s group from Ryerson is the second to visit. 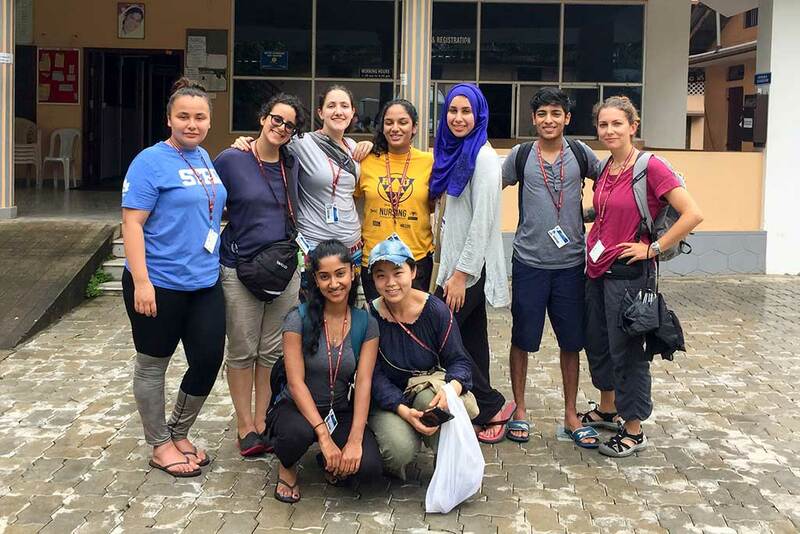 Nine students from Canada's Ryerson University. They are with the Faculty of Community Development--Nursing, Nutrition and Early Childhood Studies.